Richard A. Cavaletto Ph.D., P.E. Dr. Cavaletto has served as Associate Dean of the College of Agriculture, Food & Environmental Sciences since January 2012. He oversees undergraduate programs including curriculum development, student progress and advising, the college’s recruiting efforts, and faculty development programs. Dr. Cavaletto served as department head for Cal Poly's BioResource and Agricultural Engineering [BRAE] Department from 2004 to 2012. He is a registered professional engineer and alumnus of the BRAE undergraduate program. Dr. Cavaletto’s expertise is in the area of agricultural safety with a special emphasis on machinery operation and design. 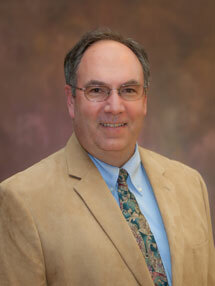 He has directed the Agricultural Safety Institute at Cal Poly since 1992.